“My name is Igor and I live in cold Russia. In between dismantling my AK-47 assault rifle and training my pet bear, I like to listen to music.” That’s a sincere and of course 100 percent truthful (not!) introduction by Igor Lipchansky, a Russian Instagram blogger who has an unusual hobby. 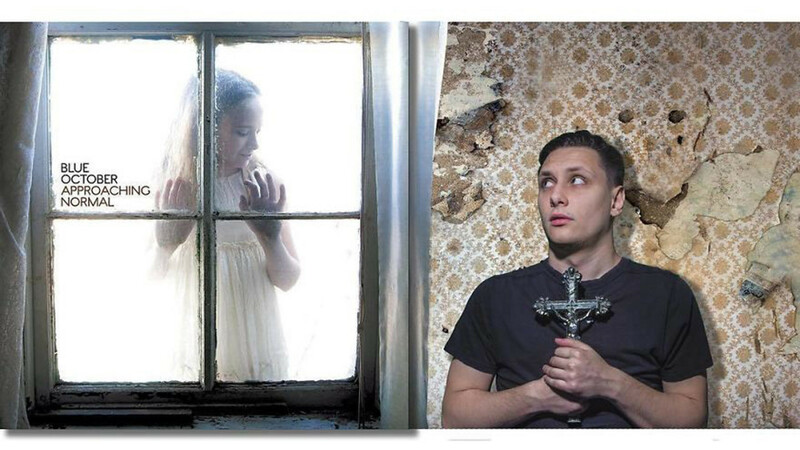 Lipchansky “improves” the covers of music albums by adding a new dimension to them: He literally thinks outside the box by expanding the images and portraying what might be happening out of shot – editing himself into the picture. “When I peer into the cover of the album I find a place for myself there,” he explains. Thanks to the magical art of Photoshop. Here what’s it looks like. 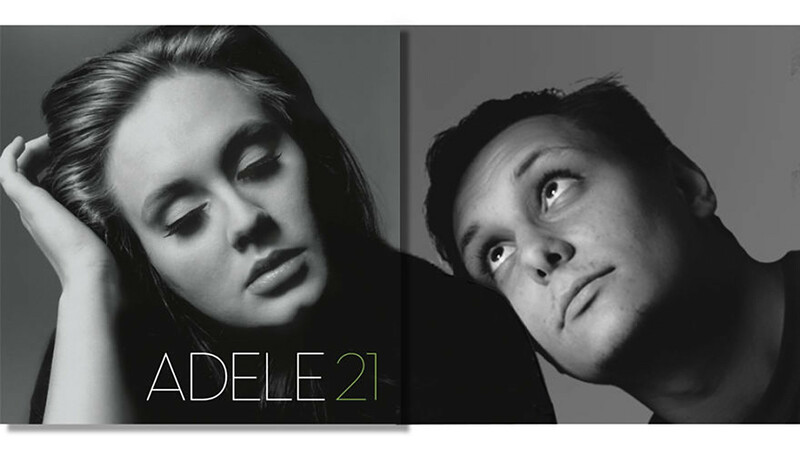 That’s Igor tenderly putting his head on the shoulder of the popular English singer Adele on her 21album. Here he looks a bit scared, watching a strange girl in the window on Blue October’s (an American rock band) Approaching Normal album. Fortunately, he survived the previous mystical encounter and apparently became a stylist. 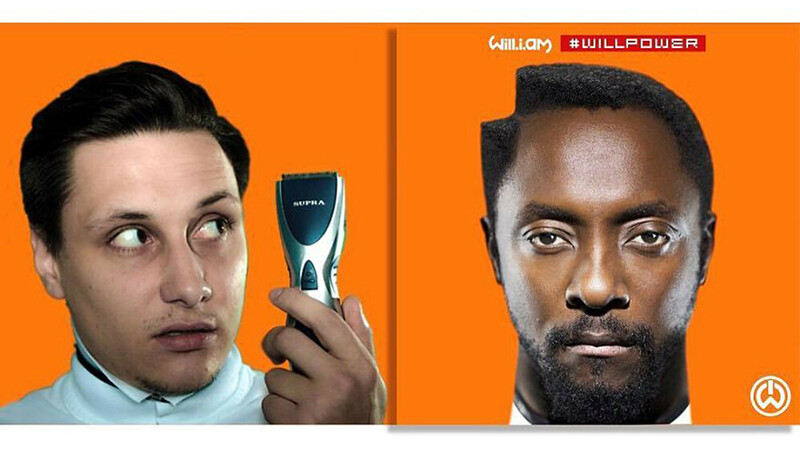 That explains why rapper will.i.am has such a strange haircut on the cover of his Willpower record. 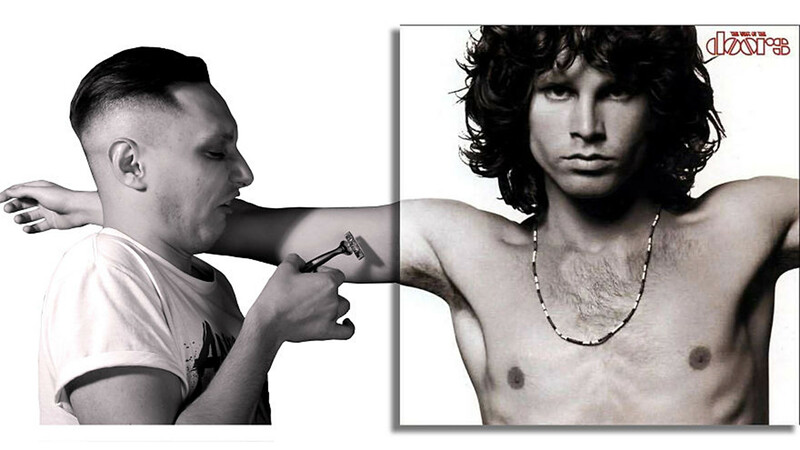 Once again he has his shaver out, this time touching up Jim Morrison’s armpit hair on The Doors’ The Best Of compilation (1985)! Igor shows little respect for the stars. Here he’s about to ruin Lana Del Rey’s beautiful dress on her Born To Die album. So it no surprise celebrities are trying to keep him at bay. 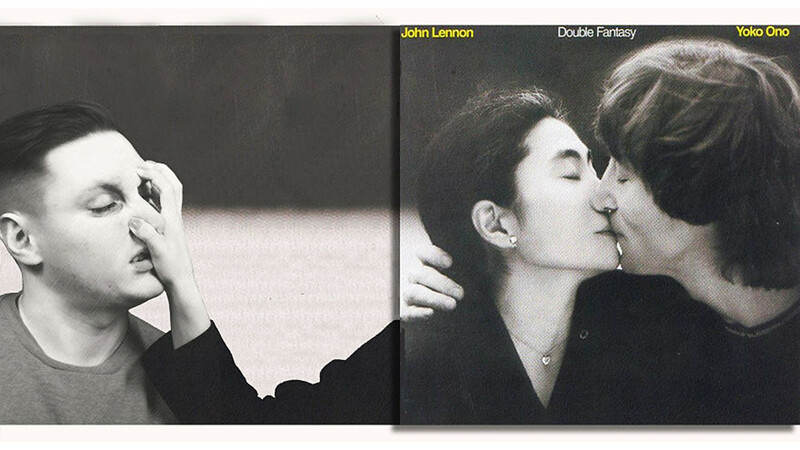 Yoko Ono is pushing Igor away as she kisses John Lennon on the cover of their Double Fantasy album. But generally Igor seems to be a nice guy. 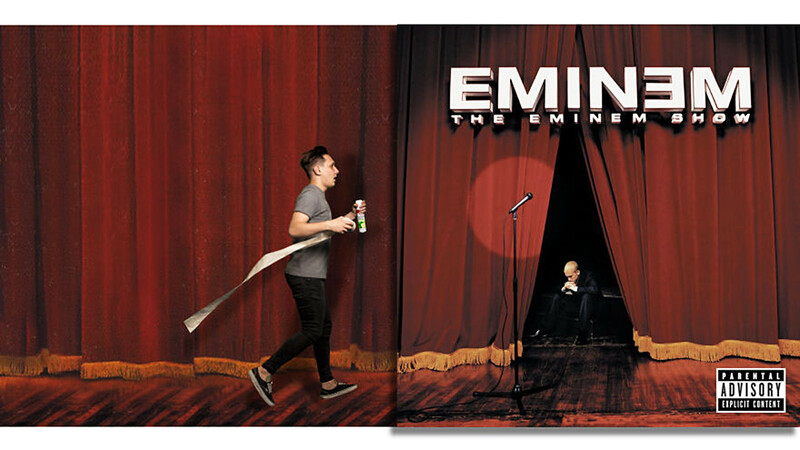 Here he’s rushing to help Eminem who looks rather melancholic on the cover of The Eminem Show. Igor is undoubtedly a patriot. 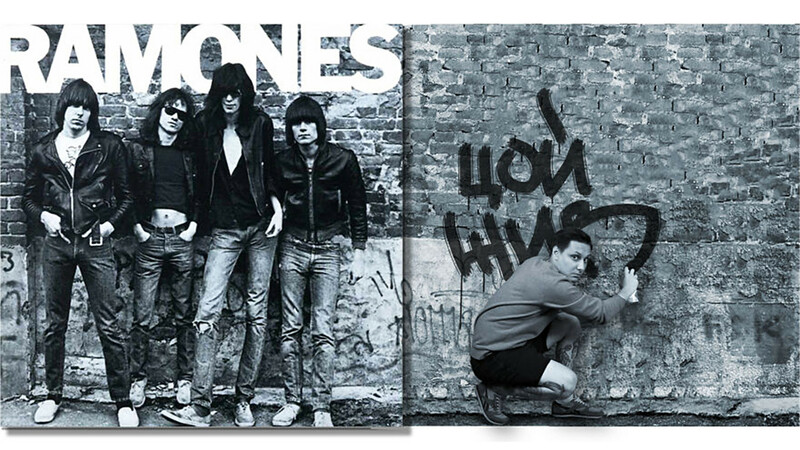 While punks from The Ramones are posing against the wall on the cover of their debut album, he’s writing “Tsoy is alive!” referring to the famous Russian rock-star Viktor Tsoy (1962 – 1990). You can see the rest of Igor’s works on his Instagram page. Don’t take it to heart if he’s mocking your favorite musician – after all, it’s just fun. If you want to know more about the Russian sense of humor, check out this piece on the “dankest” Russian memes.